I have been frequenting Cycling Archives for quite some time, it is a valuable resource for finding information on not so popular riders and teams. I just wish some one would come in a re-design it with a wonderful interface making it more user friendly. It also takes it's sweet time loading, so be patient. Posted on January 10, 2011 by Paul Isabella and filed under Legends. Studio portrait of Reg Harris, 1948. 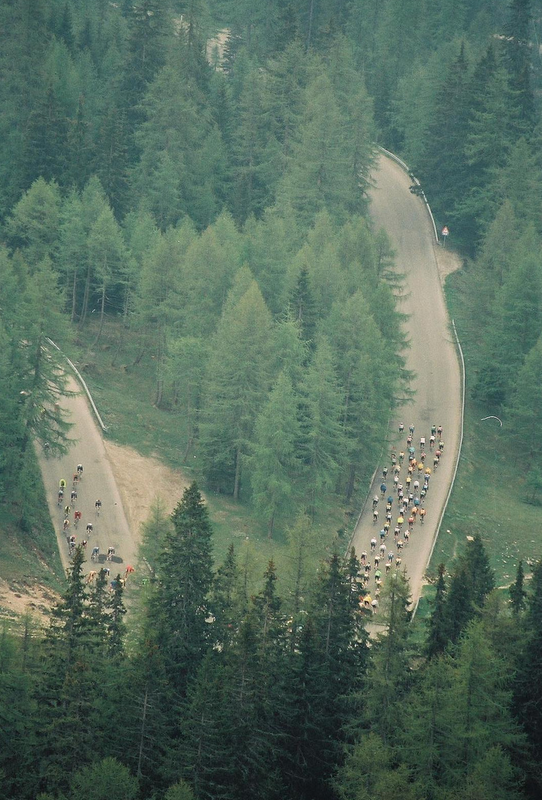 National Road Race Championships 1981. Bob Downs. Aerial view of Fallowfield probably taken in the early 1920's. Reg Harris wearing his Sprint Championship jersey, Herne Hill, 1947. R. T. T. C. National 25 miles Champion - Dave Lloyd 1982. Maybe the best Flickr Find ever: Manchester Wheelers, Official Club History. Those two portraits of Reg Harris are so good. Posted on January 6, 2011 by Paul Isabella and filed under Flickr Find, Legends. Moser leads eventual winner Michel Pollentier, followed by Marc De Meyer and Jan Raas. Moser looks like the Hulk compared to Pollentier. Posted on January 4, 2011 by Paul Isabella and filed under Legends. Gilbert Duclos-Lassalle killing it at 39. He ended up crashing and getting two flats, but yet he still finishes a respectable 7th, let alone dominate it back-to-back in '92/'93. To me he formed the trifecta of awesome french riders along with Hinault and Fignon. How about that awesome Rock Shox up front too? But man, the clip above is amazing. David Duffield with a cold, Johan Museeuw with a full-suspension (look for him around :30), and everyone covered in mud. Maybe the greatest Paris–Roubaix moment ever, so much drama and passion it is unbelievable. Posted on January 3, 2011 by Paul Isabella and filed under Legends. Coppi during Stage 11 from Pau-Luchon of the 1949 Tour de France. And an amazing silent film from the same stage. Posted on December 30, 2010 by Paul Isabella and filed under Legends. Posted on December 23, 2010 by Paul Isabella and filed under Flickr Find, Legends. "In my first Tour de France, this is the happiest day in my life." In 1983 Laurent Fignon was the youngest rider to win the Tour de France in 50 years. At 22 years of age he was four years younger than Georges Speicher who had won in 1933. One of the most interesting things about Fignon's career was that he came to be team leader of Renault-Elf due to an injury Hinault was nursing. At first the team was prepared to work for Laurent and Marc Madiot, targeting stage victories for the white jersey. Fignon must have been feeling great because after the 9th stage (the first in the mountains) he was second only to Pascal Simon. At this point he became the team leader and Renault used all they had to defend yellow. Simon broke his shoulder blade and eventually had to abandon, leaving Laurent on top. Without a doubt, he made an extraordinary effort to fend off his opponents and take overall, but he was lucky both Hinault and Simon had been injured. If Hinault had competed that year there is no doubt everyone would have been working on Renault to get him to the podium. A small string of luck got Laurent a huge win and the nickname 'The Professor'. No first-year rider has won their first Tour de France since Fignon in '83. Fignon proved to France and the world that he could easily hold his own when he consistently countered attack after attack from Hinault in the 1984 Tour. He convinced everyone that the year before was not a fluke and rightfully put his name in history forever. The saddest part in his career is the eight second margin which saw him lose the Tour de France in 1989. I have to say one of my favorite videos to watch is Stage 21 from Versailles-Paris. Something about the way Laurent's hair flows as he rolls down the ramp, trying to defend yellow; one of the best moments in cycling history. Watch it here. With a string of victories, including the Giro in '89 and back to back Milan-San Remo wins, there is no doubt Fignon was one of the greats. He will always be remembered and will continue to inspire. There is a great set of images of Laurent Fignon over at L'Equipe that I found on La Gazzetta. Posted on October 10, 2010 by Paul Isabella and filed under Legends. 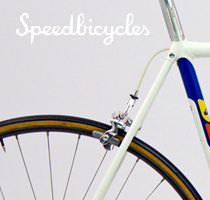 Nineteen sixty-nine was the only Tour de France to see a single cyclist win all jerseys. Eddy Merckx won the general, points and mountains classification as well as the combination jersey, which was an award given up until 1989, given to the best all-around rider. Merckx certainly proved that he was one of the best all-round riders of all time in those four weeks alone. The '69 Tour was an interesting one because it saw the return of commercially sponsored teams and from 1969 on, commercially sponsored teams have been used. National teams were used from '30 to '61 and again in 1967 and 1968. Bringing back national teams was an attempt to reduce the use of drugs and teams that either allowed it or were oblivious to it. In fact, in recent years the Tour director has thought about bringing back the use of national teams, especially in 2007 when series of drug scandals continued to eat away at the image of cycling in the public eye. However, this proved less than adequate with the death of Tom Simpson on the slopes of Mont Ventoux in 1967. This Tour was one of Merckx's biggest marginal victories, but many people do not know that in '69 Merckx was pulled from the Giro with a leading position because of a positive dope test. His suspension was initially not going to allow his participation in the Tour, but the suspension was lifted. Merckx had been sharing the yellow jersey with Rudi Altig, Desiré Letort and his teammate Julie Steevens until Stage 6 when he grabbed and maintained it for the rest of the race. Merckx sealed the deal with an infamous 140km solo break on the 17th stage from Luchon to Mourenx. Over the Tourmalet he absolutely murdered the field, more than 16 minutes behind him at the end of the day. He ended up gaining two minutes on the final individual TT and went on to win 18 minutes ahead of Roger Pingeon in second place. That must have been absolutely outstanding to see the assault on the Tourmalet and finish into Paris. Chapeau to The Cannibal. Posted on September 13, 2010 by Paul Isabella and filed under Legends. There are about a hundred cycling teams that have housed some honorable riders and then suddenly disappeared into thin air. Spain, Italy, Denmark, Switzerland and Belgium have been homes for thousands of teams through the years. There is great history in these teams, and digging in some archives you can find some pretty interesting stories. The two riders here are not extremely well-known. They wont raise anyones interest if casually discussed about in public. However they have their own unique qualities in their own right. Swiss rider Stephan Joho on the left rode for Ariostea (Italian team '84-'93) for over half of his career with multiple stage wins at the Tour of Romandie. His leap into professional cycling came when he won silver at the Swiss Championship Road Race along with a strew of good results through '85 and '86. His biggest victory without doubt was the 6th stage of the Giro d' Italia in 1989 from Potenza-Campobasso at 223km, the third longest stage of that year. This is the year Laurent Fignon went on to win one year after Hampsten's ascent and sealed victory on the Gavia. On the right however we have a much more dramatic story. Luc Leblanc rode with Histor-Sigma for the 1989 season, about two years into his career as a pro cyclist. When he was eleven years old his family was hit by a drunk driver, killing his younger brother. After numerous operations one leg was about 3cm shorter than the other, which caused some serious problems down the line for his career. 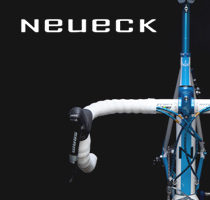 His most successful year came in '94 (with Festina) when he won the 11th stage of the Tour de France, the King of the Mountains classification at the Vuelta a España and then later that year the UCI Road World Championships. His career was riddled with hardships when year after year he had operations to help correct the growth of his leg. He raced for Polti, an Italian team, from '95-'99 and was eventually let go because of his worsening injury. This admirable career was overshadowed in 2000 when Leblanc admitted to using EPO since '94 in the messy trial against Richard Virenque; maybe the most notorious and well know figure in the doping scandal of 1998. The lesson of the day: don't use EPO and steer clear of drunk drivers. Posted on September 1, 2010 by Paul Isabella and filed under Legends.